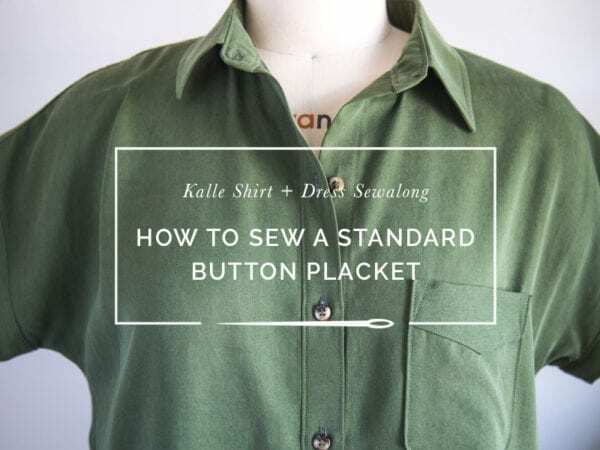 Last week we covered how to sew a standard placket, hidden placket and tunic or popover placket for our Kalle Shirt & Shirtdress pattern. 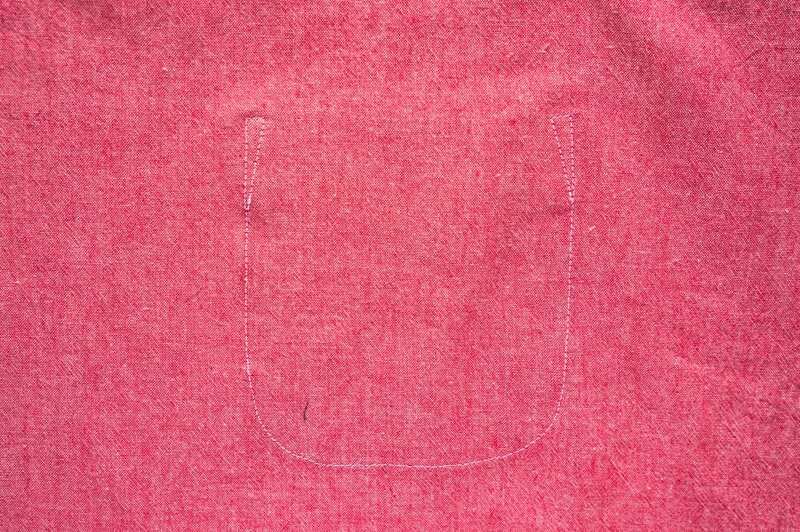 This week we’ll assemble the body, and today’s post will focus on sewing the optional patch pocket. 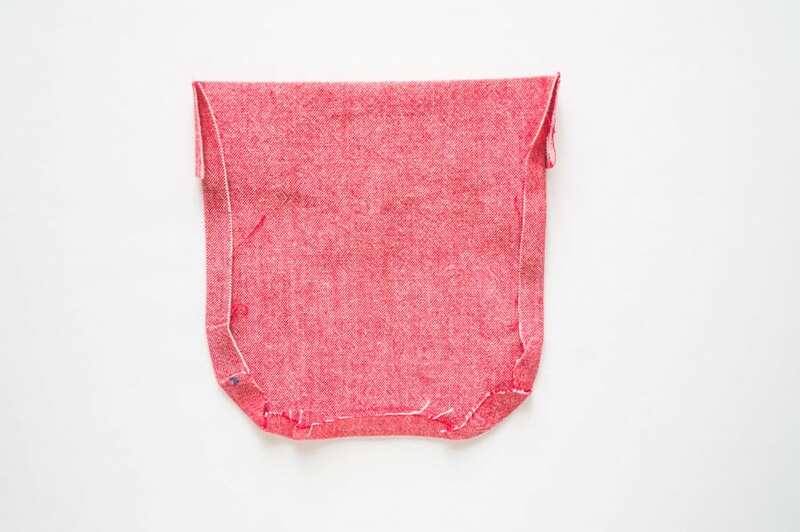 The construction of this pocket is a little different than the traditional shirt pocket due to the pointed flap at the top. 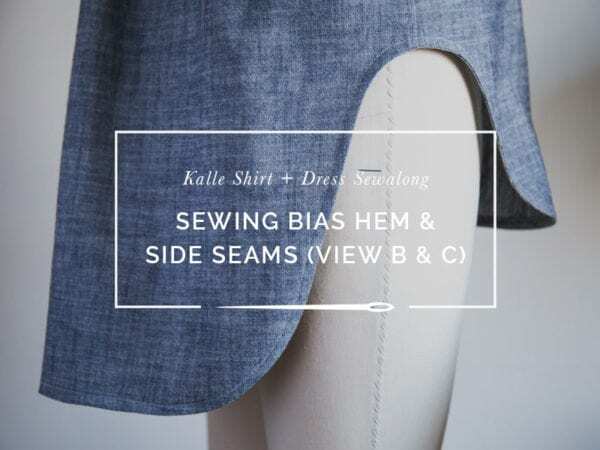 It’s also curvy to mirror the curves happening along the hem. 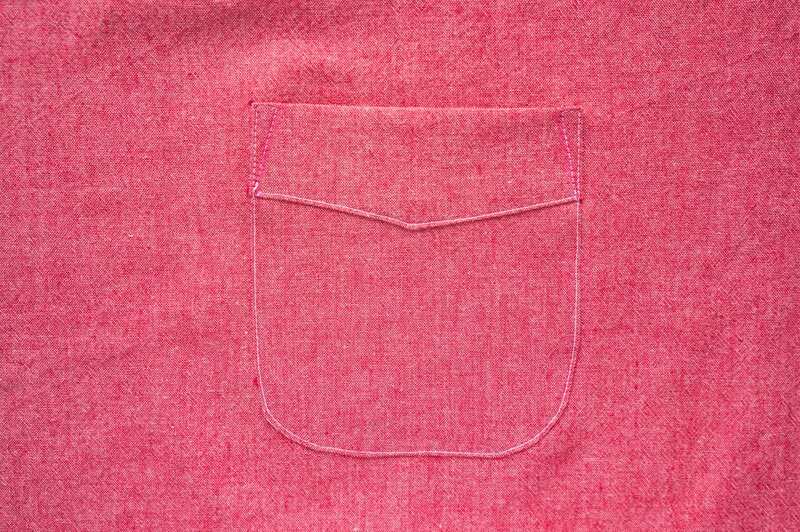 I suggest sewing the pocket once you’ve finished the plackets (although in the example below I haven’t installed the placket yet). 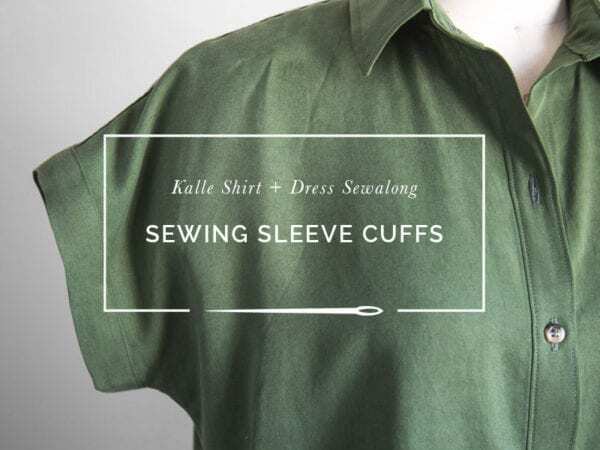 Please note that the top of the finished pocket will show the wrong side of the fabric since it’s folded over — if the wrong side of your fabric isn’t pretty, you may want to consider subbing in a more traditional shirt pocket. 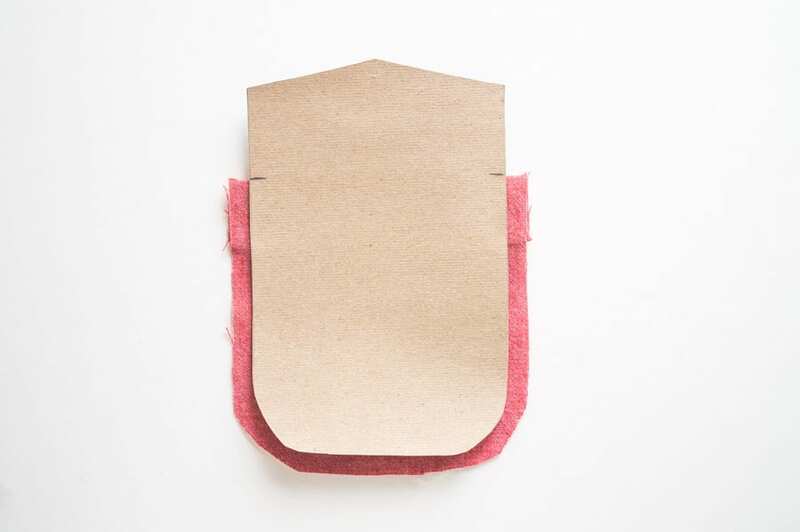 To get started, fold and press the edges of the top of the pocket down 3/8”, right sides together. 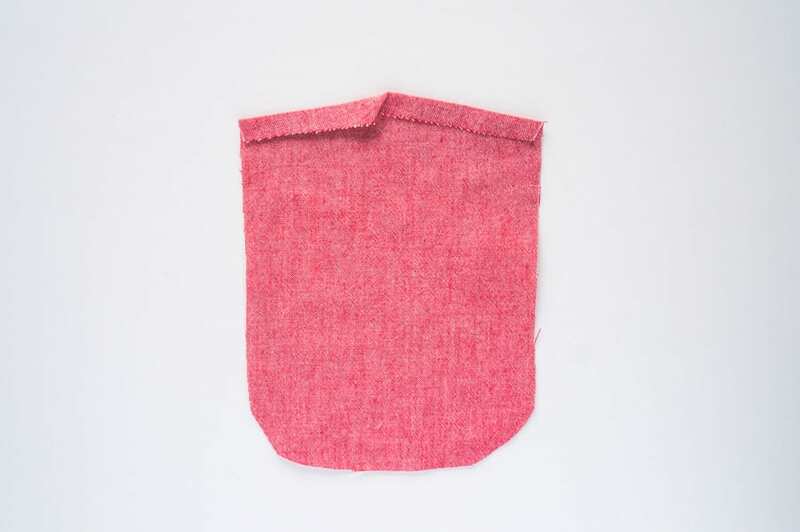 Fold the top of the pocket down along the notches, right sides together. 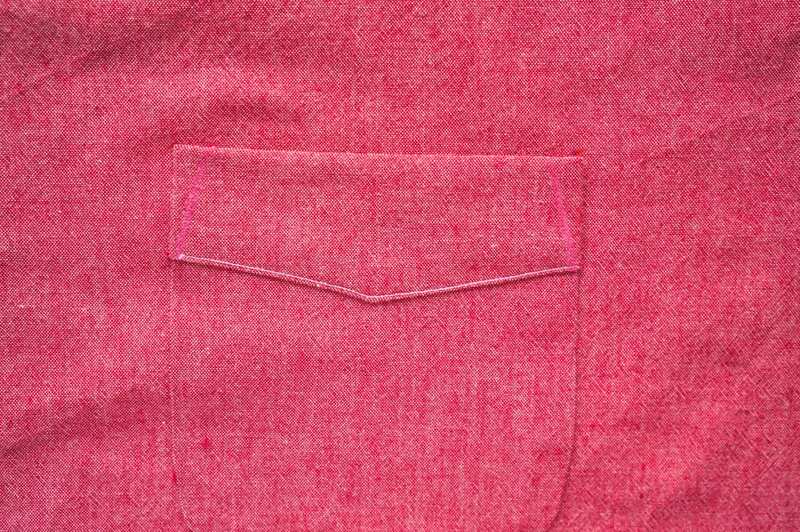 The main part of the pocket will be the right side of the fabric; the pointed flap will show the wrong side. Time to press in the raw edges of the pocket. Pressing along a curve can be tricky, but I find it’s easier to get even results by using a cardboard template. 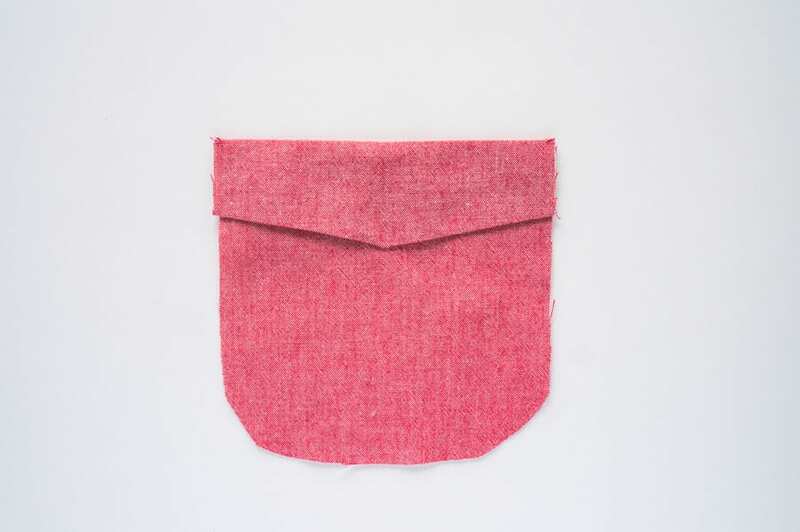 You can make one by tracing the pocket minus the 3/8″ seam allowance on some sturdy card stock. 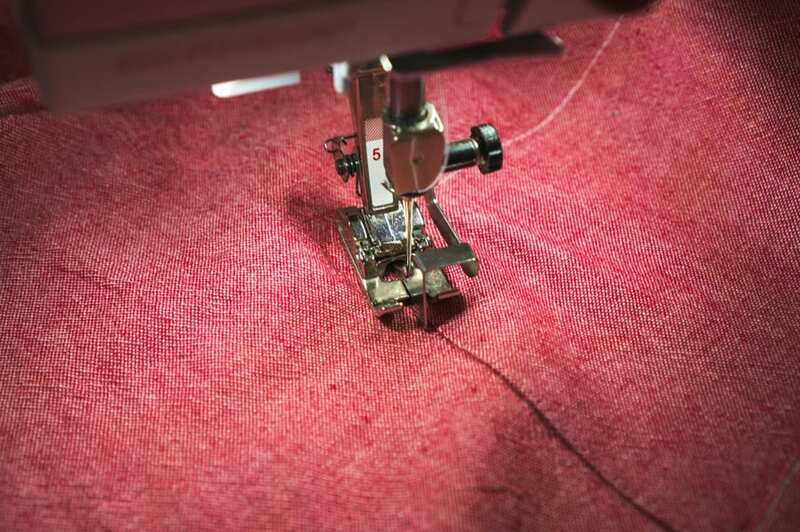 Alternatively, you can baste inside the seam allowance and then use the tail ends of the thread to ease the curve in. 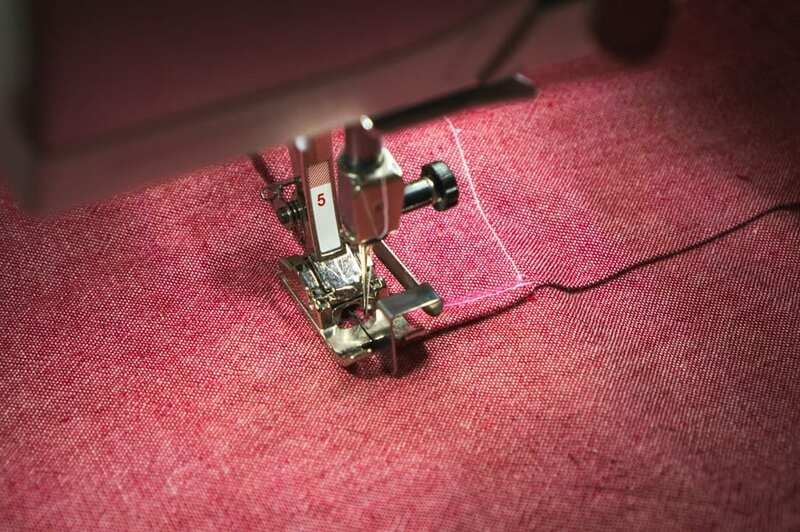 To get a nice smooth curve along the bottom corners, you may find it necessary to cut notches along the curve (try not to cut to cut too close to where the fabric is folded under – you don’t want it to fray!) I finish pressing from the outside so I can smooth out any weird jagged corners with my fingers. Using the circle marks on the pattern as a guide, locate the position of the pocket. 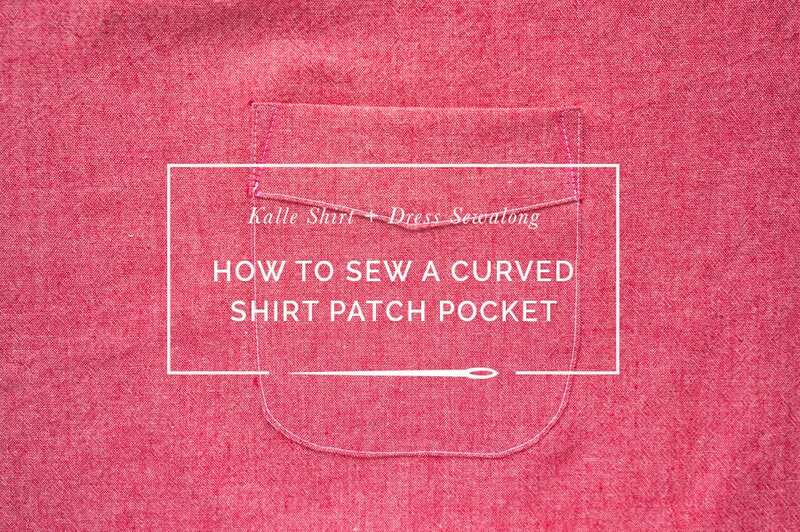 Make sure the edge of the pocket is parallel to the center front of the shirt. 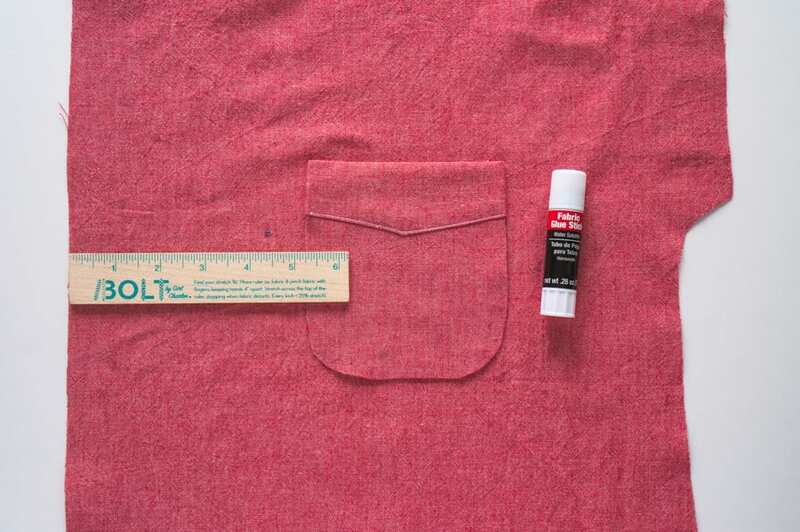 Pin or glue baste the pocket in place (use a glue stick designed for fabric so you don’t gum up your needle). 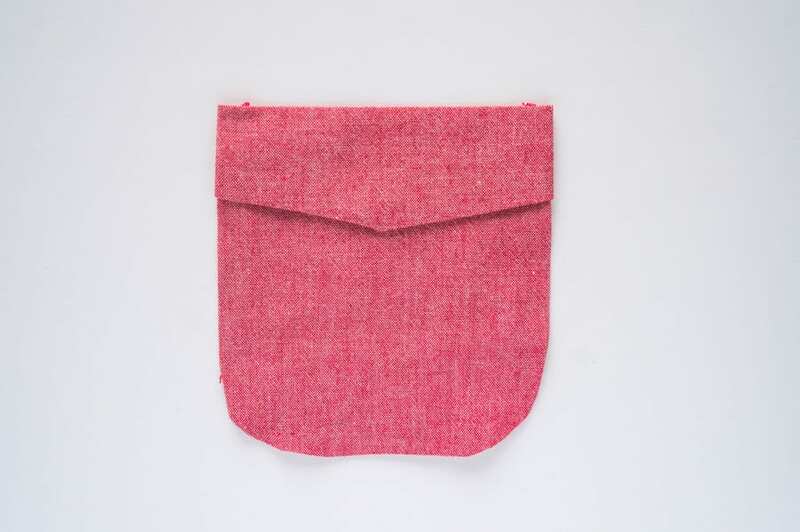 Trim the top edges of the pocket seam allowance at a 45 degree angle if they are visible from the right side. Now it’s time to topstitch the pocket in place. You may find it easier to draw in the topstitching guide with chalk before you begin. 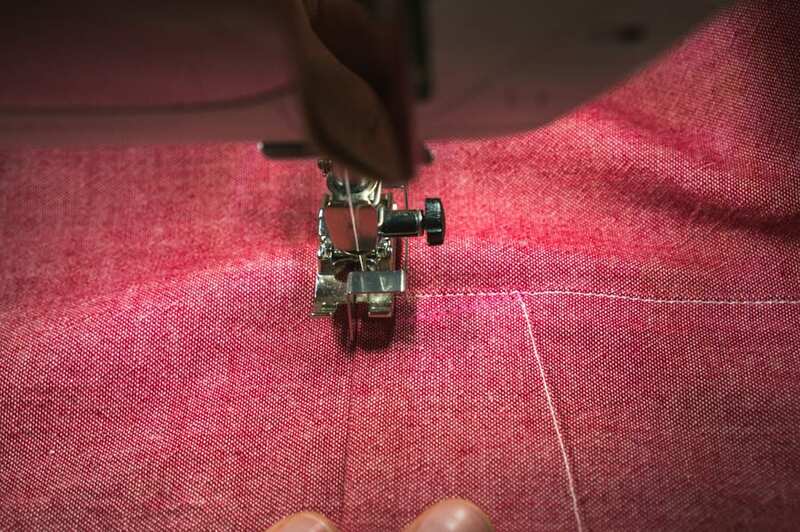 The goal is to start on the inside edge of the flap, stitch up at an angle to the top of the pocket, go across 3-4 stitches, and then down the exterior edge of the pocket at a 1/8” seam allowance. I’ve used chalk in the image below to draw a guideline for the stitching. Start on the left side of the pocket. As you approach the corners, leave your needle down and turn your work. I like to use an edgestitch foot for this step. If you’re having issues with tension like I was, try threading the bobbin thread through the arm in your bobbin case; I just learned I have to do that every time I use my edgestitch foot on my Bernina to get a balanced stitch. Getting even stitching around the curve can be tricky. 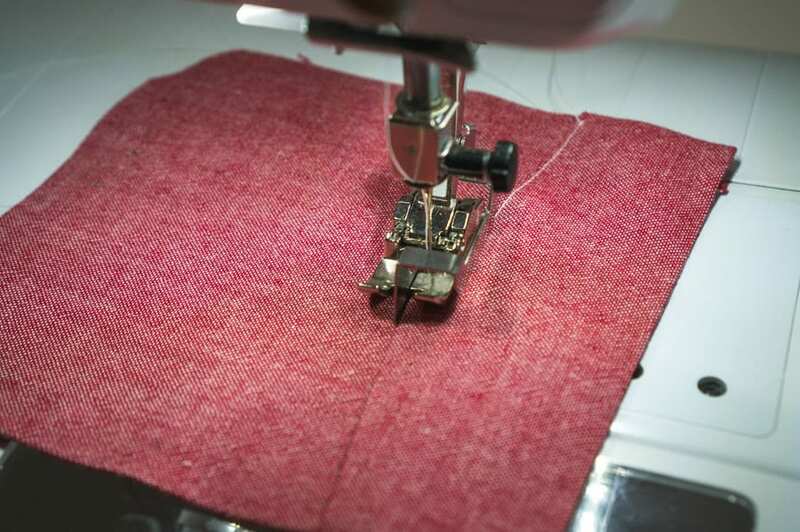 Take your time and slowly rotate your work as you sew. Finish the way you started on the other side of the pocket, ending with the stitch line angling towards the inner corner of the pocket flap. And that’s it for today! Later this week I’ll explain the best way to assemble a yoked shirt using the burrito method.